Buy Summer Red® Maple online. Summer Red® Maple is a beautiful and unique Acer rubrum selection. This newer selection exhibits outstanding burgundy red new foliage. Mature foliage is a dark purplish green. The leaf back displays a silvery white color which contrasts well in the wind. Leaves are medium to small sized with a thick leathery texture and resulting in minimal leaf tatter. Tree growth is vigorous with abundant lateral branching developing into a mature specimen with a dense, broad, upright, oval shaped crown. Fall color is distinctive with older leaves turning yellow while the younger leaves change to orange or purple presenting a beautiful spectrum of colors. 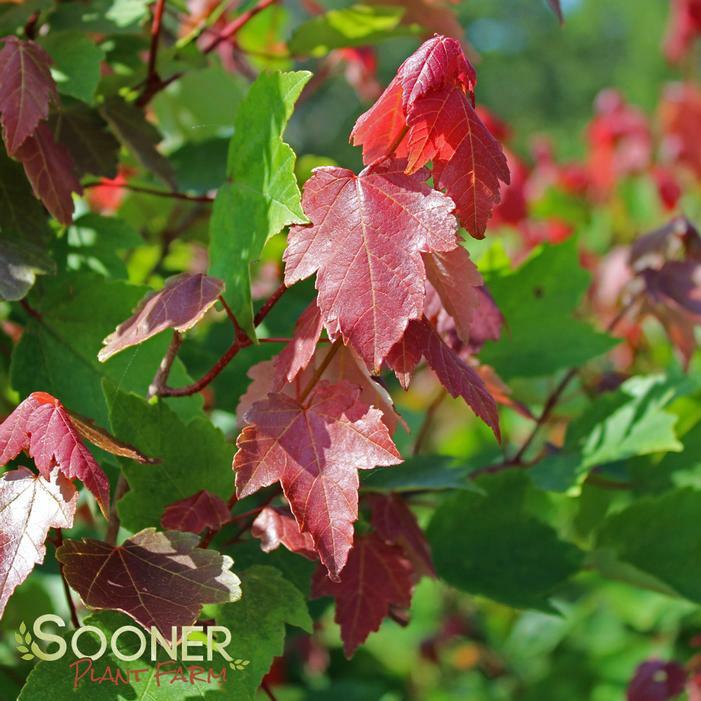 Summer Red® Maple is adaptable to a wide range of soil and climatic conditions. Our most unique Red Maple!